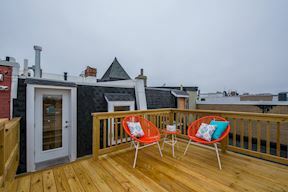 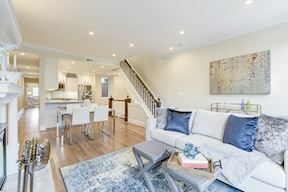 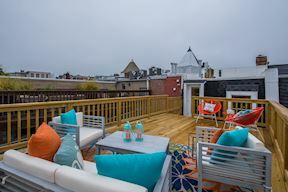 The Best of DC Living - Newly Renovated 2-level Penthouse Rowhome Condo w/Private Roof Deck & Parking! 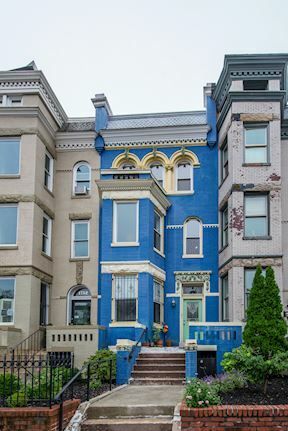 Welcome home to 1754 U Street NW! 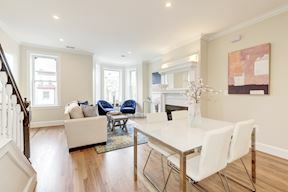 This elegant 2-level penthouse rowhome condo has been newly renovated throughout. 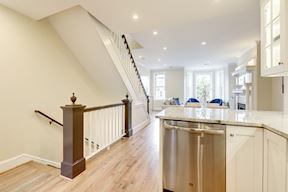 A grand entry staircase leads you home into this elegantly redesigned open kitchen, dining area, and living room. 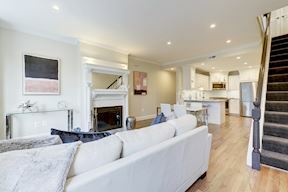 Ample recessed lighting complements the abundant natural light flowing through the living room wall of windows. 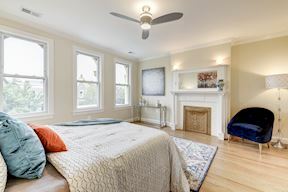 Tall ceilings are accented by crown molding. 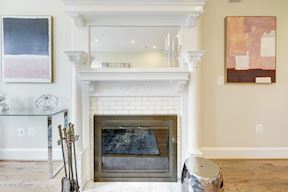 The intricate wood-burning fireplace is the centerpiece of elegance for the open living room. 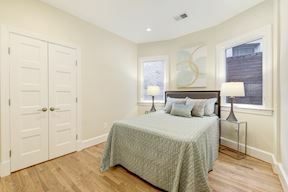 Gorgeous wood floors flow throughout tying the whole home together with sophistication and cohesion. 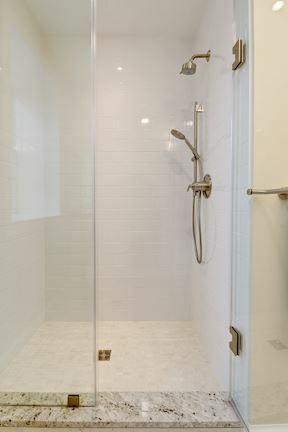 The 2nd/guest bathroom is located down the main-level hallway and provides charm with updated finishes and the option of a shower or bath. 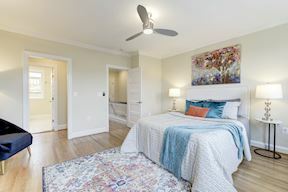 The 2nd bedroom is located off the main-level hallway and gives a sense of serenity, two windows, recessed lighting, and a double closet. 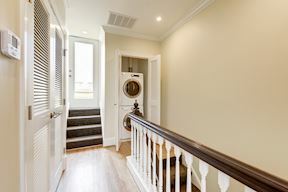 The 3rd/guest bedroom is located at the end of the main-level hallway and provides multi-functional use, a double closet, and rear outdoor access onto the deck and access to the parking space. 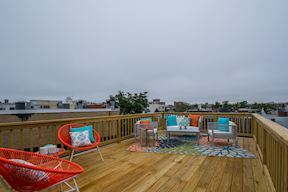 The upper level of this condo is home to the expansive private master suite, convenient laundry, and access to the expansive private outdoor rooftop deck with Monument views. 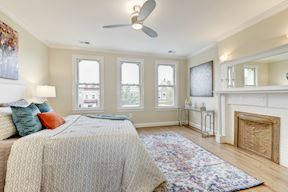 The king-size master bedroom has a wall of windows, an elegant decorative fireplace, and is accented with crown molding highlighted by a lighted ceiling fan & recessed lighting. 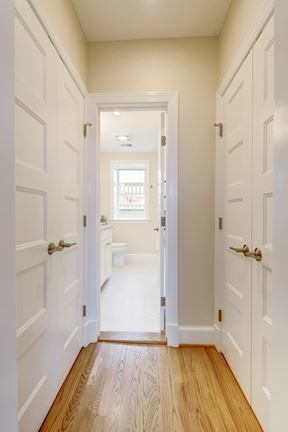 A hallway leading to the en-suite bath host two master bedroom double closets. 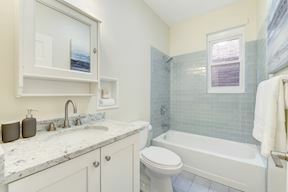 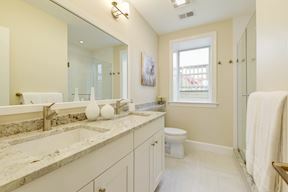 The master bath is well-appointed with an expansive double vanity with cabinet storage, additional linen storage, a window, and a spa-style walk-in shower. 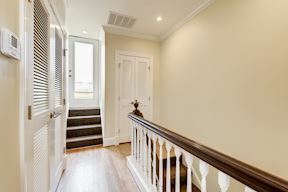 The upper-level hallway leads to the private rooftop deck with space to live and entertain outdoors. 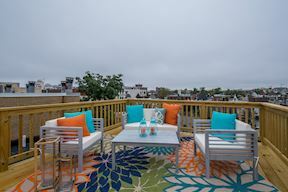 Enjoy sunrises, sunsets, dinners al fresco, Monument views, and July 4th fireworks from your own rooftop deck! 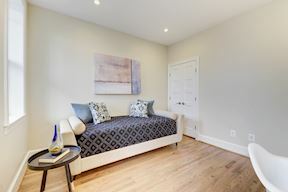 The parking space is conveniently located in the rear of the home and provides peace of mind coming and going in and out of the city. 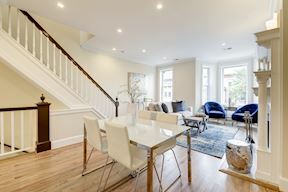 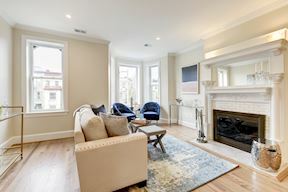 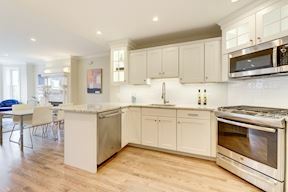 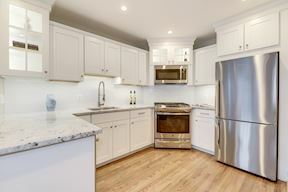 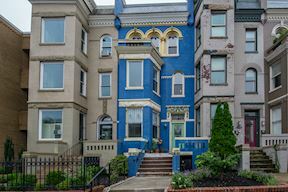 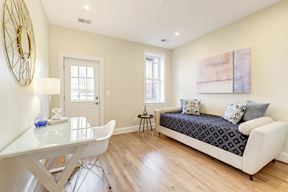 1754 U Street is conveniently located to the additional great DC neighborhoods of Adams Morgan, Columbia Heights, Georgetown, Logan Circle, and Kalorama. 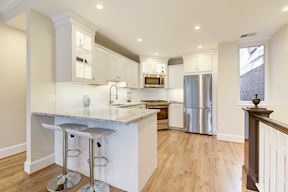 Day-to-day conveniences are located just steps away and nearby restaurants provide dining choices from around the globe. 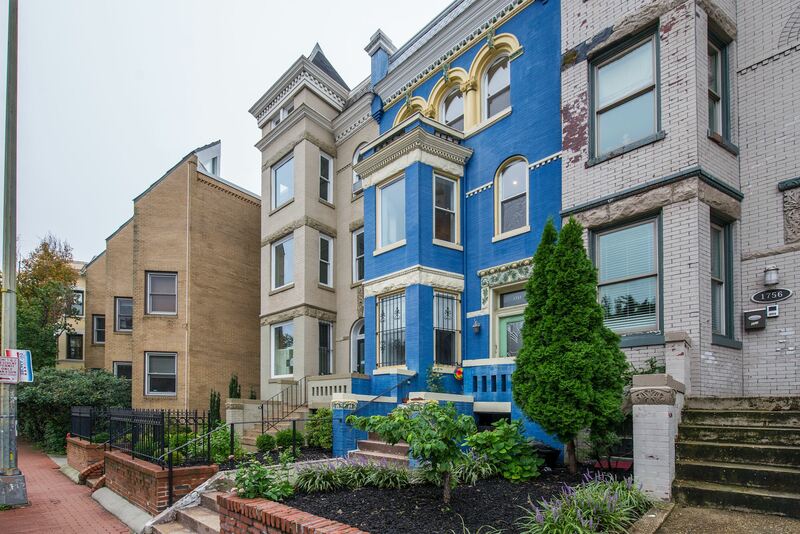 1754 U Street provides you the home you want and deserve for the best of DC living! 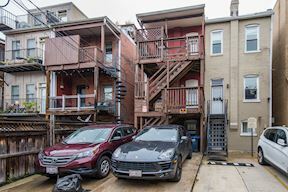 Convenient rear parking space included!